Are you a brand running your own YouTube channel? Join our network to develop your views & subscribers and create branded content to amplify the audience outreach on your channel. Joining our network with your YouTube channel, you will have access to exclusive and specifically designed tools, an ever-growing audience, expertise and networking in extreme sports and digital media. You have 100% autonomy and property on your YouTube channel. We help you build & develop your audience worldwide. – If you choose to block ads on your channel, we help you control it and we charge you a fee for our services & tools. Partner Upgrade – Get access to the highest level of YouTube partnership including live streaming, Content ID Protection, Merch/Website Annotations, Mass Annotations Personalized Thumbnails & much more. Content ID protection – Monetize any of your content uploaded on YouTube wherever it is & whoever has uploaded it. Free access to “Universal Publishing Production Music” library – the largest musical illustration for professionals in the audiovisual catalog, with over 200,000 tracks to download, use and monetize. Marketing plan & budget to increase your audienceacross YouTube, social Media & blogs/websites. Social Media Syndication and optimization of your content with dedicated campaigns. 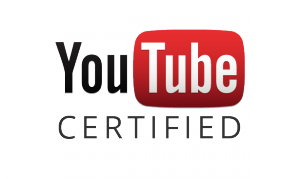 Partner Support –Your personal manager is YouTube Certified for audience development. He will answer your questions & help you reach your goals with promotion & leveraging. Branded content, sponsored stories or smart product placement are creative and effective ways to increase brand awareness and promote your products on YouTube. We will work with you on a customized story to integrate your products, by interacting with the most influent brands in all sectors and activities. Strongly involved community = interactive target for your brand.